These Black and White Stripes Luncheon Plates can be used for a number of party themes including a Jack Skellington party, or a Halloween carnival party. 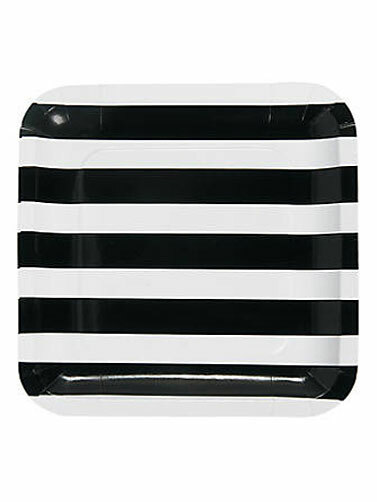 Square paper plates with a black and white stripe print. Luncheon size will hold lot's of party snacks. Black and White Stripes Luncheon Plates measure 9.25". 25 ct.